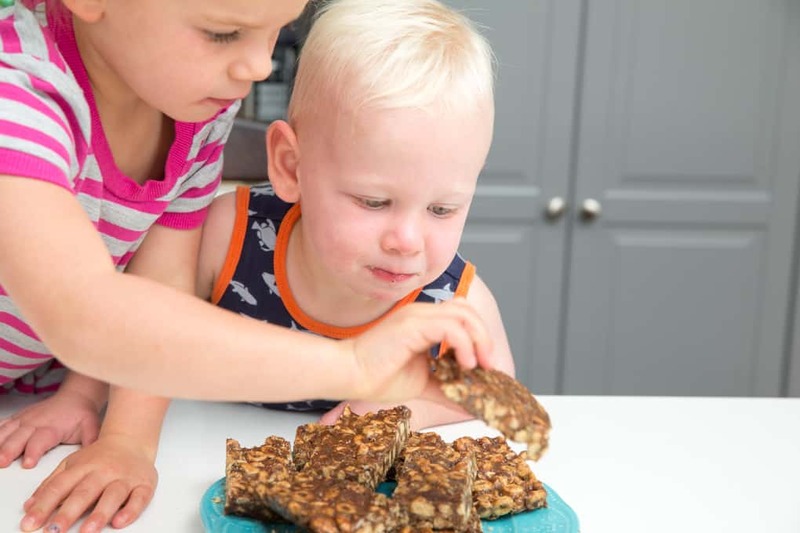 THESE NO-BAKE CHOCOLATE WHOLE GRAIN SNACK BARS ARE NOT ONLY KID-APPROVED, BUT JAM-PACKED FULL OF NUTRITION TOO! *This post was written in partnership with my friends at Kellogg®. As always, all opinions are my own! 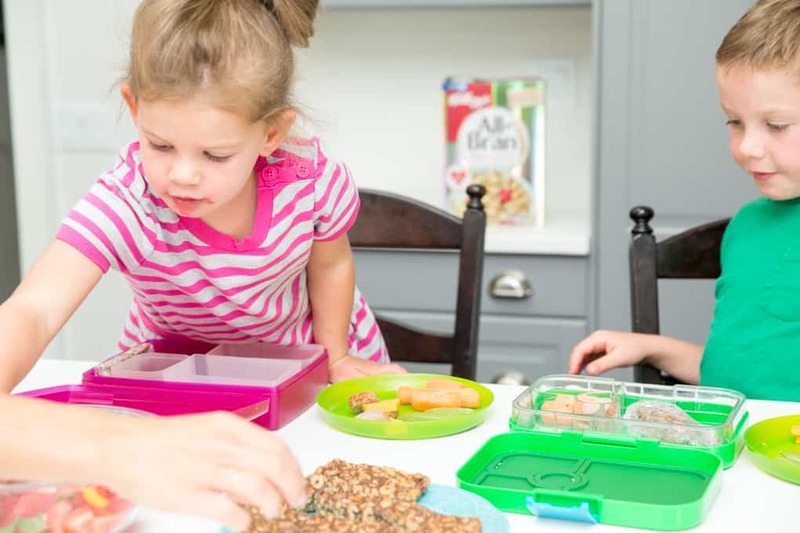 It’s back to school time, and we’re in major lunch-packing mode in our house. We have two kids in school this year, so we’re busy stocking up on handy lunch-packing supplies, making nutritious lunchbox-safe snacks, batch cooking for busy weeknight suppers, and gearing up for a busy and fun year ahead. 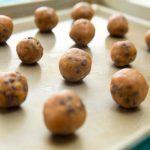 To stay organized, I always try to have two or three homemade snacks made to add to lunchboxes and for after school – things like homemade muffins, energy balls and bars. 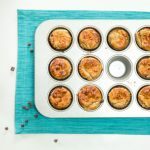 I make sure that they always contain enough fibre and protein – two nutrients that help my kids stay fuller longer and help them to concentrate and focus. I always try to include nutrient-packed ingredients like Greek yogurt, beans, lentils, oats, chia seeds, high fibre cereals and nut or seed butters. 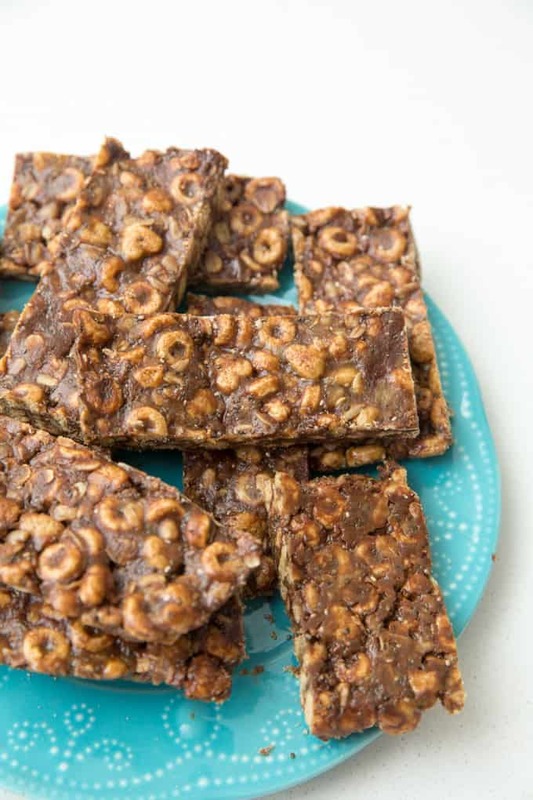 In this snack bar recipe, I used Kellogg’s new All-Bran® Multi-Grain Crunch CerealTM as the base. We go through boxes and boxes of this cereal, not only because it’s delicious (and my kids LOVE it), but also because it’s loaded full of fibre and low in sugar. So, it sort of breaks all of the rules of a high fibre cereal. 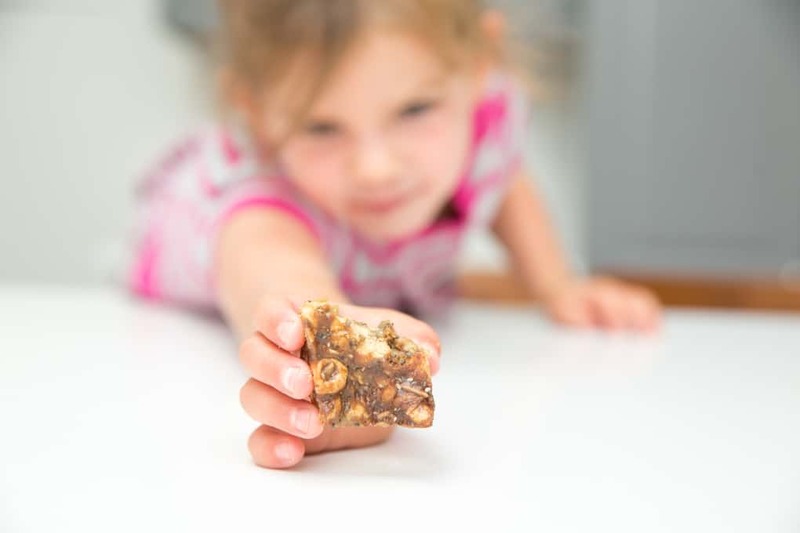 There aren’t many high fibre, nutrient-dense cereals that appeal to kids – am I right? 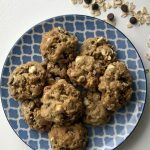 My kids love the shapes (O’s and hearts) and the subtle maple flavor, and I love that it contains six grams of psyllium fibre per serving, which is a unique type of fibre that boasts the benefits of both soluble and insoluble fibre. 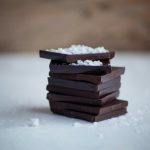 So, not only does it provide digestive benefits, but it also keeps blood sugar levels stable and decreases cholesterol levels—not only good for kids, but adults too! 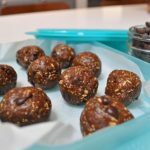 To boost the nutritional content even more, I included rolled oats, chia seeds, sunflower seed butter and whole grain flour. Oh, and chocolate. Because… everything’s better with chocolate. In a large bowl, combine dry ingredients (*see important note about flour above) and mix well. Set aside. Heat a medium to large pot over medium-low heat. Add seed butter, honey and coconut oil. Whisk continuously until smooth – about 2 minutes. Turn heat to low and transfer dry mixture to pot. With a spatula, stir well until dry mixture is coated evenly. Add chocolate chips and stir until melted evenly throughout. Transfer mixture to prepared baking dish, spreading evenly with the spatula, pressing down firmly (you may have to use your hands), especially on sides. Freeze for 20 minutes prior to serving! 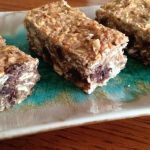 These bars are nutritious and filling enough to be snack-worthy, but indulgent enough pass as dessert (especially if you include chocolate chips!). 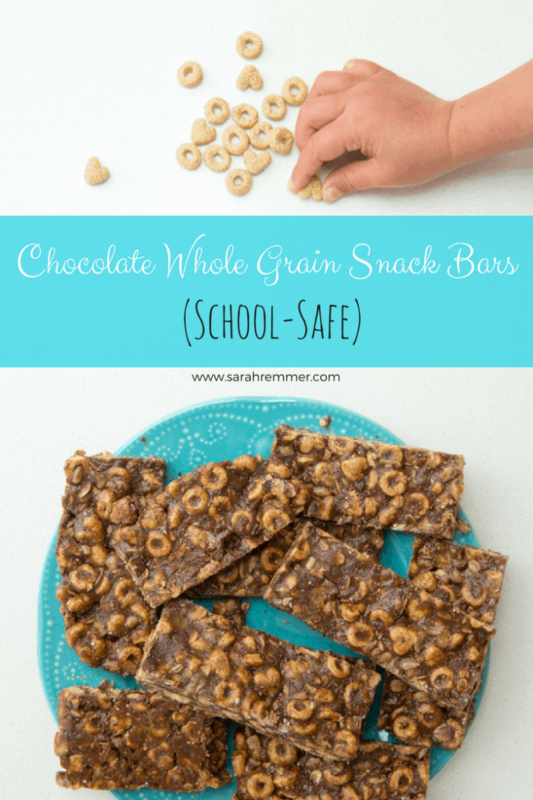 They are also school-safe because they do not contain nuts. 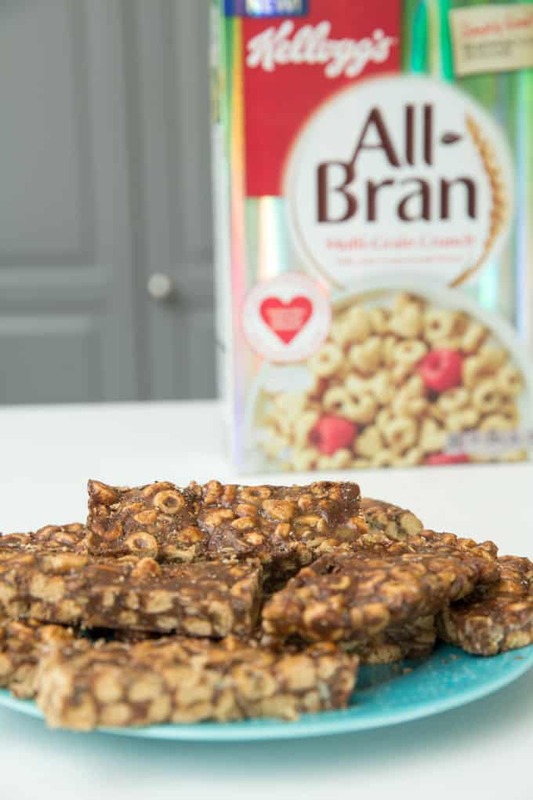 For more information and tasty recipes using All-Bran Multi-Grain Crunch, check out allbran.ca! 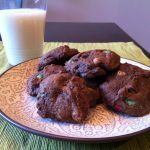 For more delicious, kid-tested recipes, check out my Facebook Page and Instagram Feed! Will this recipe work with regular butter? 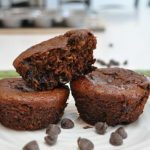 This looks like a great recipe! We don’t typically have coconut oil in the house. Would it work just as well with canola or olive oil? 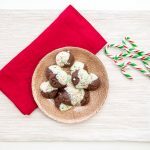 Adorable photos and these look so good! 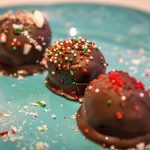 These look great and I know my kids would just love them! Love the whole grains in there!!! These look so simple and great for kids! 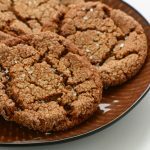 Do you have to pasteurize the flour if you use oat flour? This mixture was much too dry to freeze into a solid bar! Any suggestions for ways to salvage it? Oh that’s too bad! 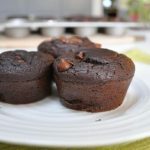 I’m sorry about that… I would say add a little more honey and or nut/seed butter to it to help it stick a little better… let me know if it works out!